Open and Shut? 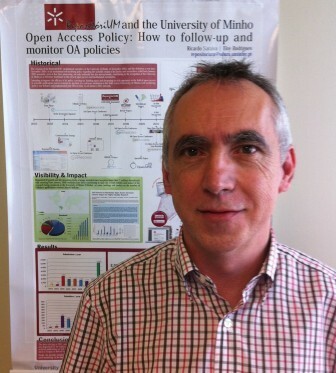 : Eloy Rodrigues on the state of Open Access: Where are we, what still needs to be done? This is the sixth Q&A in a series exploring the current state of Open Access (OA). On this occasion the questions are answered by Eloy Rodrigues, Portuguese librarian and Director of the University of Minho’s Documentation Services. In any movement there are those who talk about what needs to be done and there are those who get on and do it. Judging by the limited number of posts that Eloy Rodrigues has made to the primary OA mailing list (GOAL) he does not belong to the former group. However, Google offers ample evidence that he regularly gives business-like presentations and workshops on OA. But Rodrigues’ most important contribution to OA is surely his practical work in helping to develop the essential building blocks required for OA to become a reality — particularly the all-important infrastructure needed to facilitate Green OA, or self-archiving. This includes creating interoperable institutional repositories and introducing Open Access policies. Above all, Rodrigues’ work has shown that, when implemented correctly, Green OA is the quickest and surest way for a university to make its research freely available. This November the University of Minho’s institutional repository (RepositóriUM) will be ten years old. During its lifetime the number of items deposited in the repository (articles, conference papers, working papers, theses and dissertations, etc.) has grown from a couple of hundred to more than 23,000. What UMinho’s experience has shown, however, is that it is not enough simply to build a repository, and it is not even enough to then mandate researchers to deposit their work in that repository — researchers also have to be incentivised to comply with the mandate. This is evident in the graph below, which shows the annual growth in the number of items deposited in RepositoriUM. Two upticks are apparent, the first occurred after the university first introduced its mandate in 2004, the second (in 2011) after the mandate was upgraded to provide greater incentives to researchers to comply. Compliance with the University of Minho’s OA mandate is currently approaching 70 percent. But how does Rodrigues view the current state of OA, and what does he feel still needs to be done? To find out, read the Q&A below. For me what stands out from Rodrigues’ answers is his assertion that how OA develops from now on will to a great extent depend on who drives it. Above all, he says, this will determine whether the costs of scholarly communication will be driven down — a long desired objective of the research community. As he puts it, “[I]f, and how much, cheaper it will be will depend to a great extent on what kind of transition to OA we have. If we have a ‘research-driven’ transition — where research organizations and researchers assume a greater role and responsibility for disseminating and publishing their own results, there should be sufficient pressure to squeeze down publishing costs and publisher profits to a quasi-optimal level. In such a scenario I am pretty confident that OA will be much cheaper. What remains to be seen, of course, is the extent to which the research community is either willing or able to “take back” scholarly publishing. On this, we could note, University of Utah librarian Rick Anderson has recently expressed some scepticism. Nevertheless Rodrigues makes an important point: the OA movement has arrived at a key turning point, a turning point that will likely determine how scholarly communication evolves, not just in the next few years, but in the long term. When and how (even whether) the research community benefits from the change remains to be seen. Earlier contributors to this series include palaeontologist Mike Taylor, cognitive scientist Stevan Harnad, former librarian Fred Friend, SPARC director Heather Joseph, and publishing consultant Joseph Esposito. A: It’s hard to indicate a specific point in time, but I would say that I started to be interested in Open Access from the end of 2002. However, it was more than year later before I fully understood the overall potential and implications of OA, and it was at that time that I became an active Open Access advocate. My interest started as a result of several events that took place at the end of 2002: Having become the Director of Minho University (UMinho) libraries in December 2002, I wanted to implement a solution for the preservation and ongoing access of Minho’s theses and dissertations. It was at that time that I also first became aware of the concept of institutional repositories, and in December of that year an Open Archives Forum Workshop about OAI-PMH was organized in Lisbon (I didn’t attend personally, but asked a colleague to participate). As a consequence, by the end of January 2003 we had decided to create an institutional repository — not only for theses and dissertations, but for all the university’s research output. That led to a growing interest on Open Access. Our institutional repository — RepositóriUM — was publicly launched in November 2003, but we pretty soon “discovered” that creating a repository doesn’t mean that researchers will immediately start to self-archive their publications in it. Conscious by now that others were facing the same problem I began to engage in advocacy, and subsequently led the efforts to introduce an OA policy and mandate at Minho. At the end of 2004, therefore, UMinho established a self-archiving policy by a Rectors decision. A: Probably like most OA advocates I always experience mixed feelings when trying to assess our progress towards OA. On one hand it’s indisputable that we’ve made tremendous progress, and in a short period of time. When the original Budapest meeting was convened in 2001, “Open Access” (at that point still not defined) was “marginal”, practised by a very small number of researchers (physicists aside) and completely unknown to the vast majority of people working in research and academia. Today OA is “mainstream”, recognized and accepted by almost all researchers, required by a growing number of research funders, and the percentage of research output available as Open Access is now estimated to be close to one third of the total. 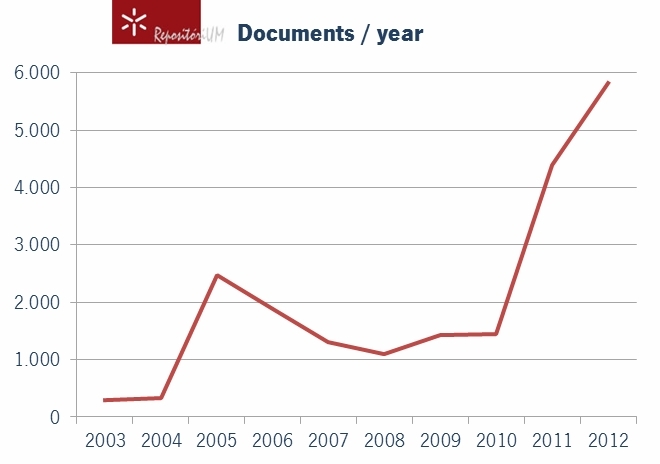 In Portugal, we have moved from one repository in 2003, to more than 40 in 2013, from no Open Access journals to more than 80, from no Open Access policies to 15 Open Access policies introduced in research institutions. This is certainly very impressive! So I think the OA movement can be proud of making, in just 11 years, Open Access inevitable. That is the biggest achievement and I’m convinced that there is no turning back anymore. On the other hand, progress towards OA has not been as “linear”, or as fast, as some of us would have anticipated or wanted, or even as fast as is possible. There are many objective reasons for this (e.g. the diversity of contexts — from disciplinary to national ones — and stakeholders: researchers, research funders and policy makers, research institutions, libraries, publishers, etc.). There are also subjective reasons — from the challenges in establishing co-ordinated positions within the OA movement, to the consequences of the efforts made by opponents of Open Access to stop or slow progress (often operating behind the scenes). I have been particularly disappointed over the last year to see how a move (the new RCUK OA policy) that was intended to foster OA, has contributed to a more confused landscape, and could have some very dangerous consequences — e.g. the wasting of research resources by diverting even more money into a currently very well (if not over) financed publishing industry, the downgrading of green OA, the lengthening of embargoes etc., etc.). The impact of this will not be confined to the UK, but will have implications worldwide. Q: There has always been a great deal of discussion (and disagreement) about the roles that Green and Gold OA should play. What do you think should be the respective roles of Green and Gold today, especially in the context of Southern Europe and the Portuguese-speaking world? A: I firmly believe that both Green and Gold OA are useful and valid approaches during the transition to OA, as originally stated in the BOAI Declaration. My work has been focused so far on promoting repositories and green OA (through RCAAP and its repository hosting service), but I’ve supported several initiatives, in Portugal and elsewhere, focused on OA journal creation and development (e.g. the RCAAP journal hosting service). But as SPARC’s Heather Joseph stated in her Q&A earlier in this series, when it comes to policies, requiring deposition in an OA repository is the baseline requirement. Fortunately, this has been the requirement of most institutional and funder policies. And the reason why universal Green OA mandates should remain the baseline for funder and institutional policies is that, not only do they offer an immediate solution (even with temporary limitations related to embargoes and/or re-use rights) for open access, but they exert pressure and provide incentives for the establishment and operation of what Stevan Harnad calls “fair gold”. In Portugal, as in other Southern European countries (especially those participating in the MedOANet project, which is preparing guidelines for effective and co-ordinated OA policy implementation), the baseline on Green is particularly relevant, because in addition to the reasons I mentioned above, we face a severe economic and financial crisis. So it would be a complete nonsense to divert our increasingly scarce national research funds to paying to publish in OA journals (after all, since we will need to maintain our journal subscriptions during the transition, paying for APCs would require additional and unnecessary expense). That said, I think we should maintain support for very relevant, and research driven, Gold OA initiatives in the Portuguese speaking world. Q: What would you say should be the role of Hybrid OA? A: I understand that Hybrid OA could, theoretically, be a good way of transitioning to Open Access. But I fear that, in practice, Hybrid OA is not providing a valid and fair strategy for the transitional period. In fact, despite a few examples of genuine commitment from publishers, the truth is that for most of the “big players” Hybrid OA seems to be essentially an opportunity to increase revenues by “double dipping”. One essential (but certainly not sufficient) condition that would be needed in order for Hybrid OA to work on a “fair” and useful way for OA, would be complete transparency about subscription revenues and publication costs. But transparency is simply not possible in a market now dominated by “big deals” (often with confidentiality clauses attached) between publishers and different types of consortia. So, I think Hybrid OA should not be supported, or at least stimulated, and I agree with those funders who will only pay APCs for pure Gold journals and not Hybrid ones. Q: How would you characterise the current state of OA, both in Portugal and globally? A: I think we are living in very interesting and crucial times for OA, both in Portugal and at the global level. As I indicated, I’m personally convinced that OA is already an inevitability. So, the question now is how and when we will get there, and who will lead the transition to Open Access. I think even those who were opposing Open Access have come to understood that, and they have started to concentrate on the “battle” over OA implementation. What I am saying is that while I am convinced that OA is the future, I’m not completely sure whether it will be a “research-driven OA”, or a “publishing-driven OA”. Both scenarios are still possible, and the way in which we will transition and implement OA will make a world of difference. The next few months will shed some light on the road ahead. Two of the most influential events will certainly be the results of the political initiatives in the US (the OSTP Memorandum and the proposed FASTR legislation), and the implementation details of the Open Access principle in Horizon 2020 in Europe. With regard to the latter, I hope the universal requirement will be for publications to be made available on the OpenAIRE portal (which I think should also be used for the reporting, monitoring and assessment of EU funded projects). A: There is still plenty of work to be done. I would suggest there are two main priority areas. The first is the way in which OA policies/mandates are defined and implemented by funders and research institutions. Experience has shown that the most crucial factor in trying bring us faster and closer to 100% OA is the existence of effective Open Access mandates. The other priority relates to advocacy, dissemination and cultural change. “Open” is not yet the “default” in the research community, and there are still many old habits, beliefs, misconceptions, and fears, both among researchers and research organizations. These are real obstacles to moving to Open Access and Open Science. Making “open” the default, as defined in the Budapest meeting last year (BOAI10), and changing the dominant research culture, will require a lot of advocacy work, and a lot of education and training, in the coming years. Policies are more of an immediate to short term priority, while changing the research culture is more of a medium to long term goal. But I think we need to act in both directions now, as they will mutually reinforce each other. A: I will point again to policies. In the short term the factor that will have greatest impact on OA progress will be our capacity to get good Open Access policies from funders and research institutions. What do I mean by “good OA policies”? I mean consistent, verifiable, monitored, enforceable and really enforced policies. Policies with the baseline requirement of repository deposition, and using repository deposition and availability as a reporting and monitoring tool to assess and ensure compliance. Another challenge for OA advocates on the policy front is to try and ensure that policies from different funders and institutions are convergent (or at least not “competing”). This is crucial in the European context, as many researchers will have to comply with policies from their institutions plus several national or European research funders. It will be a nightmare if they are required to do a set of different things for each of them. A: Open Access offers the opportunity — as proclaimed in the Budapest Declaration — to “lay the foundation for uniting humanity in a common intellectual conversation and quest for knowledge”. So, for the developing world, as for the rest of the world, OA means enabling a two way dialogue. Not only will researchers, teachers and students from the developing world have the opportunity (assuming Internet access is available) to access and use the knowledge produced in any part of the world. At the same time they will have the opportunity to disseminate and showcase the results of their own work. And there are many relevant examples where Open Access repositories and Open Access journals provide a global audience to research results, research that would otherwise probably be confined to local scientists. A: I hope that the most relevant initiatives in Europe and the US that I mentioned above will have positive outcomes. That will have a huge influence on OA progress in the coming years. And I particularly hope that the Portuguese national funder Open Access policy will finally be approved and start to be implemented. That is the missing piece for OA growth in Portugal. Q: Will OA publishing in your view be any less expensive than subscription publishing? If so, why/how? Does cost matter anyway? A: I’m convinced that OA will be cheaper. That is, the cost per published article will be lower than it is today. But if, and how much, cheaper it will be will depend to a great extent on what kind of transition to OA we have. If we have a “research-driven” transition — where research organizations and researchers assume a greater role and responsibility for disseminating and publishing their own results, there should be sufficient pressure to squeeze down publishing costs and publisher profits to a quasi-optimal level. In such a scenario I am pretty confident that OA will be much cheaper. If, on the other hand, the research community accepts a “publishing-driven” transition, where costs, prices and profit margins all remain primarily in the control of publishers, there will be little incentive to reduce costs and prices, and OA could end up being little cheaper than the current model. And yes, it matters a lot, because resources for research are limited, and if we spend more than is necessary on publishing each article the money used to do so will not be available to do, or to publish, more research. Eloy Rodrigues is the Director of the University of Minho Documentation Services. In 2003, Rodrigues led the project to create Minho University’s institutional repository RepositoriUM, and in 2004 he drafted Minho University’s formal policy requiring open access to the institution’s scientific output. One of Rodrigues’ main focuses of activity today is to promote and advocate for Open Access and institutional repositories, both in Portugal and in the Portuguese-speaking world. As part of that activity, since 2008 Rodrigues has led the technical team at Minho University in developing the RCAAP (Repositório Científico de Acesso Aberto de Portugal = Portugal Open Access Science Repository) project. Rodrigues was a member of the EUA (European University Association) Working Group on Open Access, representing the Portuguese Rectors Council, he chairs the Repository Interoperability Working Group of the Confederation of Open Access Repositories (COAR), and he coordinates the participation of Minho University in various FP7 funded projects related to Open Access and repositories, including NECOBELAC, OpenAIRE, OpenAIREplus, and MEDOANET. I've known Eloy for some years now and know in what high regard he is held in Portugal. His comments are absolutely solidly based - the future is going to depend upon academics taking publication into their own hands; and the RCUK decision will be a disaster internationally. The publisher lobby, which loaded the Finch Committee in a totally blatant way, is making sure that its profits continue to rise at the expense of universities. As for lowering the cost of journal publication: free, subsidised journals is a valid route, as the existence of Information Research (http://informationr.net/ir/) for the past 18 years demonstrates! Self-publication of e-books also offers a new direction for scholarly monographs - see https://www.smashwords.com/books/view/336724 for an example - priced at $9.99 when the print version would have cost in the order of $75!